Standard: SAE AMS 5589, SAE AMS 5590, ASME Code Case N-253, DIN 17751. 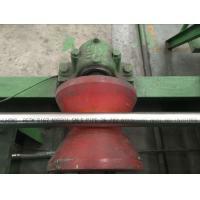 Grade: Inconel 718, Alloy 718, Nickel 718, Nicrofer 5219, Alvac 718, Haynes 718, Altemp 718. 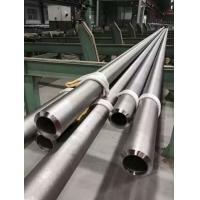 Rod, Bar, Wire and Forging Stock: ASTM B 637, ASME SB 637, AMS 5662, AMS 5663, AMS 5664, AMS 5832, AMS 5914, AMS 5962, ASME Code Case 1993, ASME Code Case 2206, ASME Code Case 2222, AECMA PrEN 2404, AECMA PrEN 2405, AECMA PrEN 2952, AECMA PrEN 2961, AECMA PrEN 3219, AECMA PrEN 3666, ISO 9723, ISO 9724, ISO 9725, DIN 17752-17754. 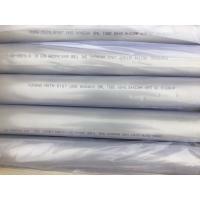 Plate, Sheet and Strip: ASTM B 670, ASTM B 906, ASME SB 670, ASME SB 906, SAE AMS 5596, SAE AMS 5597, SAE AMS 5950, AECMA PrEN 2407, AECMA PrEN 2408, ISO 6208, DIN 17750. 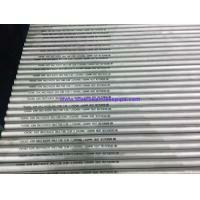 Welding Product: - INCONEL Filler Metal 718 - AWS 5.14 / ERNiFeCr-2. Zhejiang Yuhongwell Special Steel Co.Ltd is one of the largest Procurement Engineering and Contracting Group companies in China, which belows Yuhong Group, Our group branch company and factory have been already approved by : ABS, DNV, GL, BV, PED 97/23/EC, AD2000-WO, GOST9941-81, CCS, TS, CNNC, ISO9001-2008, ISO 14001-2004. 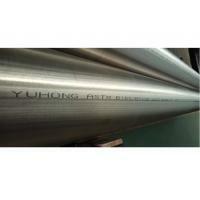 Zhejiang Yuhongwell Special Steel Co.Ltd has expanded its field of activities and entered in trade and supply of tubular & flat products in Stainless Steel, Carbon Steel , Alloy Steel for our reputed clients worldwide. 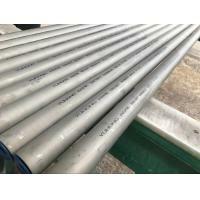 These products are widely used in various important sectors like Mining, Energy, Petrochemical, Chemical Industry, Food plant, Paper plant, Gas and Fluid Industry etc. 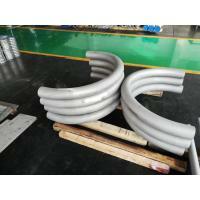 Zhejiang Yuhongwell Special Steel Co.Ltd has gained rich experience in Pipes, Fittings, Flanges, Valves, Structural steel, Coils and Plates in past eight years. In a short span of time, Zhejiang Yuhongwell Special Steel Co.Ltd has marked its global presence in more than 40 countries, like USA, Canada, Mexico, Colombia, Bolivia, Chile,Argentina, Brazil, Ecuador, Austria, New Zealand, Singapore, Malasyia, Indonesia, Thailand, Vietnam,Korea, Ukraine, Turkey , Russia, Sauid Arabia, Qatar, U.A.E, Iran, Syria, Israel,India, UK, France, Italy, Gernmany, Poland, Spain,... We have successfully implemented the orders of Cross Country Pipelines for our valuable customers. In addition, we have also developed a huge network of contacts and strategic alliances with most important manufacturers an stockists around the world. 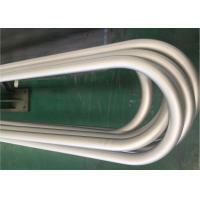 Huzhou Gaolin Stainless Steel Tube Manufacture CO.,LTD. 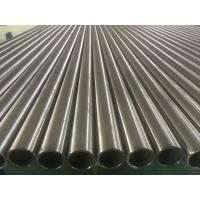 And Nickel Alloy Steel products (Pipe/Tube/Fitting/Flange/Bar/Plate/Coil) we produce at our factory Zhongzhou Special Alloy Materials Co.,LTD，And all of other products' suppliers are approved by our QC department. 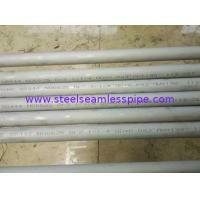 About Stainless Steel Fittings & Flanges, our suppliers are approved by PED, AD2000, DNV, ABS, TS, GL, LR, KR, GOST, NK, etc. 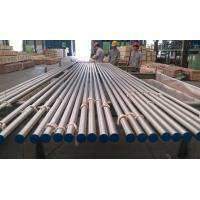 Similarly in Carbon steel pipe/tube/fitting, our suppliers are approved by API5L, API 5CT,API 5D, PED etc. 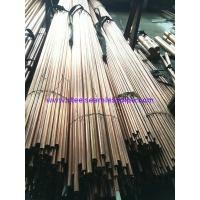 When we place the order, it is our practice to follow the order start from raw material. After getting the material ready, our QC people make strict inspection again before loading the material. We will follow the whole processing of producing, marking ,packing and inspecting before deliver to customer.